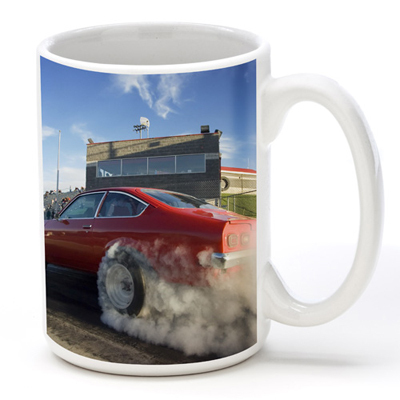 Custom photo mugs, water bottles and travel mugs are the perfect gift for the coffee and tea drinkers in your life. Custom photo water bottles are great gifts for athletes and your eco-conscience friends. 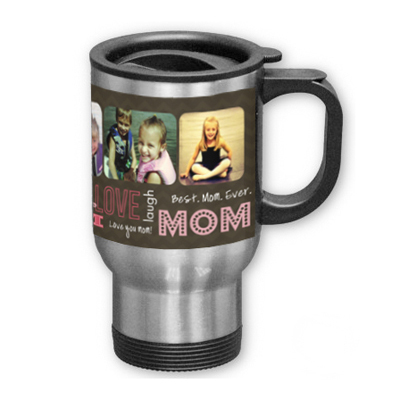 Remember favorite vacations or show off the family with this personalized mug. Choose from two different sizes, 11 ounce or 15 ounce. Our white porcelain mug is microwave safe. 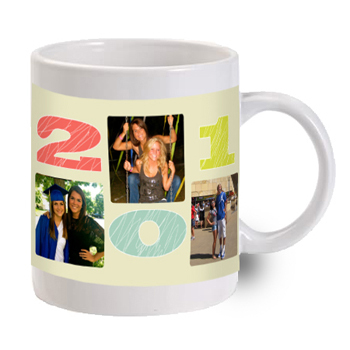 A perfect gift idea for graduations, holidays, and anniversaries. 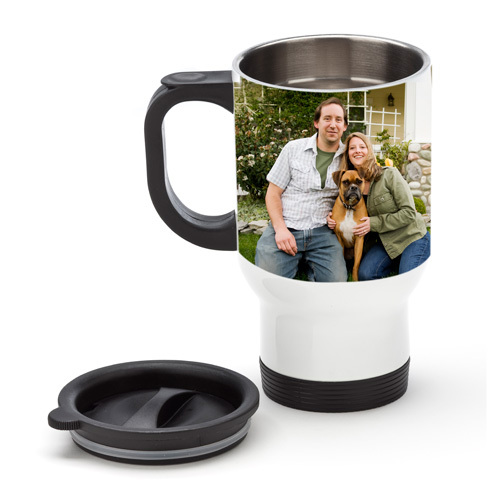 Create a unique, eye-catching product with your personalized Travel Mug. Keep your hot beverages hot and your cold beverages cold with this insulated stainless steel mug. Travel mugs come with a spill-proof plastic lid. The stainless steel interior makes it easy to clean. Hand-washing is recommended.